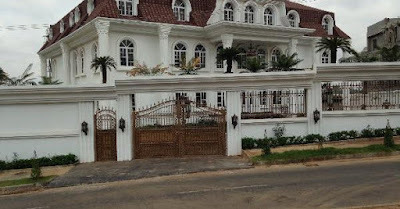 This mansion is called "The White House", it's located in Abuja and the beautiful house is up for sale at N1.6Trillion. The photo has gone viral and lot of people claim the post was actually a mistake. LOL N1.6Trillion? I won't talk to anybody for 50 years. I'd be slapping anyone and then drop N10M to shut them up. you referred to Blogger: Nollywood news + Naija Gist . deal of newsprint consistently . articles provider that can be found in a very vast. But many of these are hard to rely on. That’s why is this Normally read in detail these folks custom writing service review. ssay it. You make it entertainiing and you still take care of to keep it sensible.